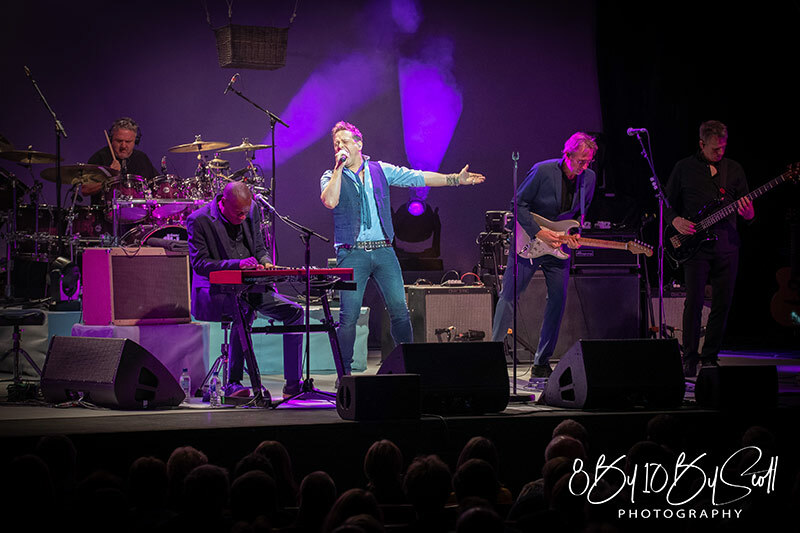 Mike + The Mechanics have played the first German show of their 2019 Looking Back (Over My Shoulder) tour in Dresden on April 11. The band have played no less than 36 shows in the UK and another one in Ireland. The seven German shows look a bit like a small addendum in this context. 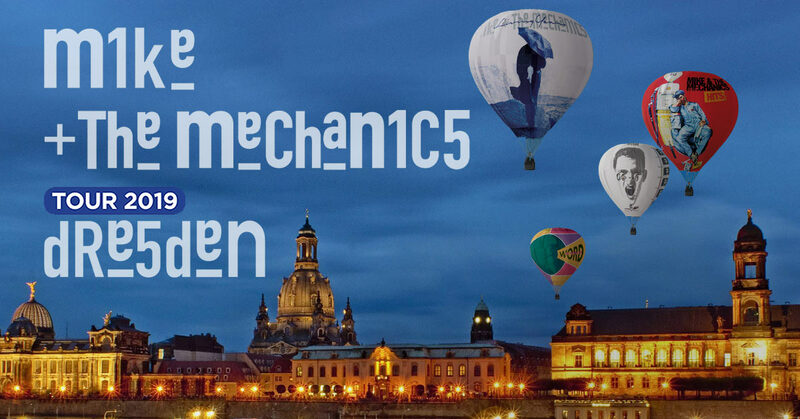 The Mechanics last played Dresden on their Let Me Fly tour in 2017. They played at the Alter Schlachthof to a capacity of 1,000 fans. They upsized the venue for their 2019 show: The Kulturpalast has been a highlight among the local venues since it re-opened, and its interior slightly resembles the Hamburg Elbphilharmonie. The new and modern venue in the Konzertpalast fits an audience of around 1,750 (or roughly 1,400 for normal rock/pop concerts). And it was sold out again. The UK concerts have shown that the Mechanics play longer shows than their usual 90 to 100 minutes, and they split their set with an interval. 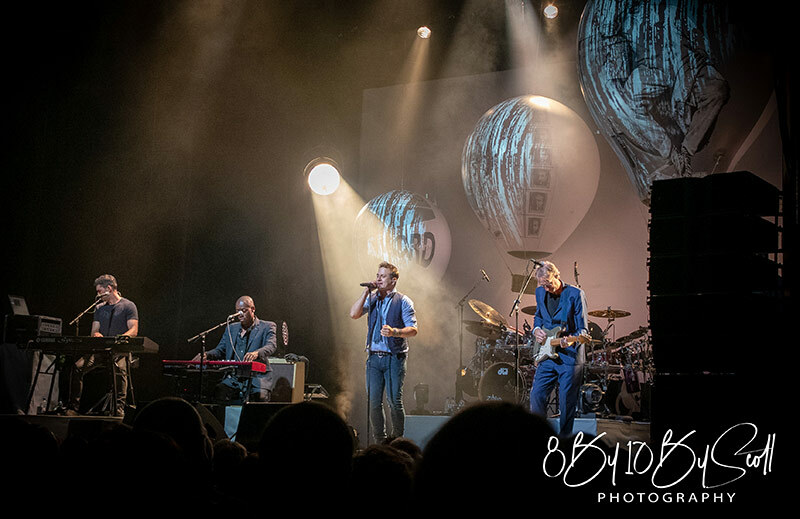 Photos from the UK shows indicate that the balloon design (from the tour posters and their new album Out Of The Blue) have been integrated into the stage design. The Kulturpalast was also the location for our interview in the afternoon before the show. Tim Howar, Andrew Roachford and Mike Rutherford took a lively and humorous half an hour to answer many questions. Though Andrew Roachford obviously had a bit of trouble with his voice, he assured us that this was no big issue and nothing to worry about. 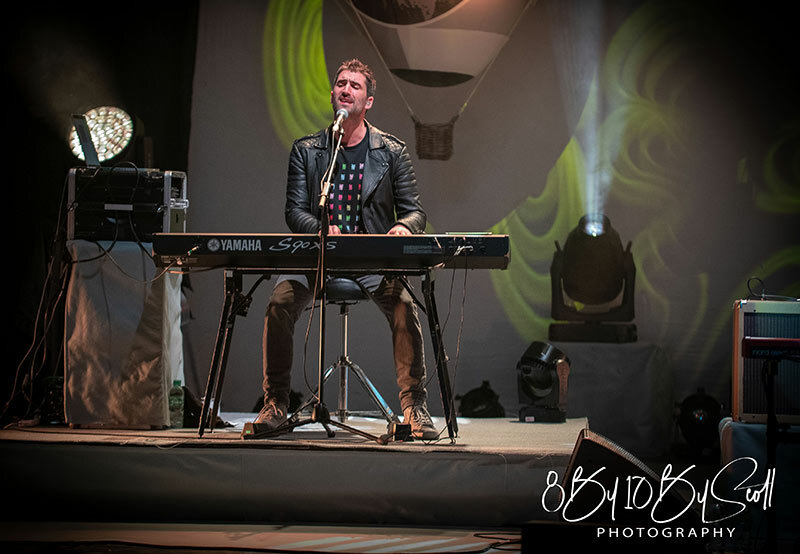 The shows of Mike + The Mechanics are always a good time full of great entertainment and an excellent band performance. Fans being fans always have something to complain about, in particularly about the choice of songs and the length of the set. The Mechanics have been touring with this line-up for nine years now. At the end of the tour they will have played more than 300 shows. They do not have to prove to anyone that the show works. Despite the impression that the band like to play it safe when they put together their sets one has to note that they do play the odd song nobody thought they would play, e.g. I Get The Feeling or Nobody Knows, The Way You Look At Me, If I Were You … the list of songs the Mechanics do play is actually very long. New songs are as much a focus of their current tour as the performance of their favourites. The band has played all three new songs at their UK gigs, and quite a bunch of songs from their recent albums. When we came into the venue we noticed right away that the balloons were missing. We had heard before that there would be no merchandise stalls. One of the reasons would have been the (next) delay of the Brexit that was agreed upon only a couple of hours before. The show began shortly after 8 p.m. 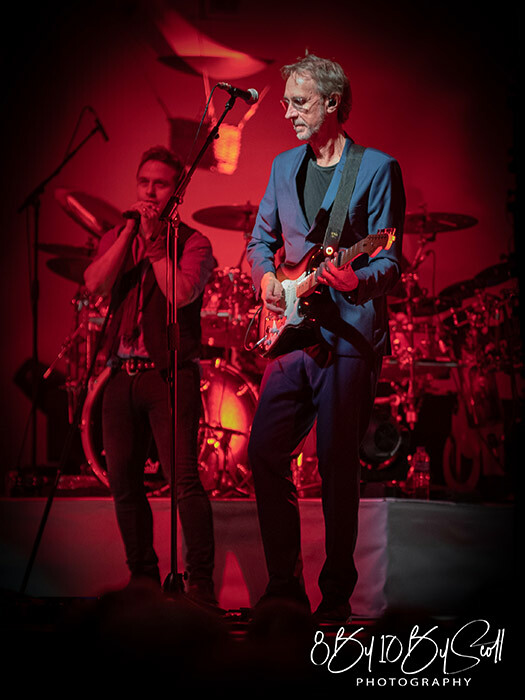 In the best traditions of Genesis, the band began with a single of their most recent album: The Best Is Yet To Come works well live and is a great opening song. 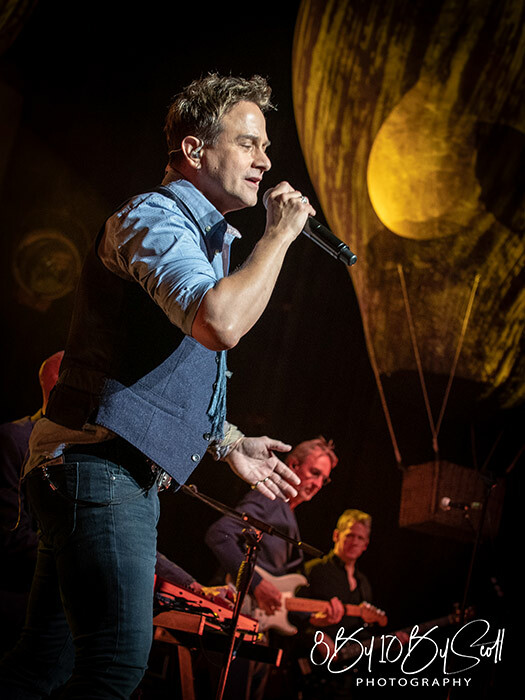 Howar showed what he wanted to do all evening – his interaction with the audience is always intense. The songs that followed combined to a perfect trio for a show start: Place Another Cup Of Coffee anywhere in the set, and it works. The opening track of previous tours, A Beggar On A Beach Of Gold, rounds off the beginning perfectly. The music calms down a bit as the band go back to The Road. Roachford explains that Try To Save Me was the first song they recorded together. He sings this song in a sort of safe mode, albeit without sounding weak. This changes with the next song, Let Me Fly. His voice is very important in that track. Let Me Fly is the first big highlight in a finely balanced set. The song grows, the band grows – Let Me Fly has the potential to become a Mechanics classic. The band raise the speed again. Mike announces that he used to be in a band called Genesis, adding that he would like to play Genesis song – Gary Wallis slams the first drum beats of Land Of Confusion into Tim Howar’s comment and tears the audience from their seats. Howar visibly enjoys letting people sing along. The song develops a kind of audience participation sequence. Cuddly Toy is a safe bet for the band somehow, but this Roachford staple always has the potential to become a big moment live. At previous shows he would state that “I told you once, I told you twice”, followed by two drum fills with the band joining in. This soon led to something like “I told you one, I told you 13 times”. In Dresden Roachford challenged the band to go for “100 times”. Mike Rutherford hurriedly checked his watch and they left it at “only” 25 times. Great song, great moment, great fun – you’ve got to feel for me baby! The band then introduce their first new song, Out Of The Blue. One Way, which was played earlier in the set at the UK shows, has been dropped. The title song of the new album is a solid performance, but it may well be the song Roachford most struggles with. It still works much better than on CD. At this point the UK shows would go into the interval. In Dresden the band did not take a break, but continued with their acoustic set. Don’t Know What Came Over Me was dropped from it. 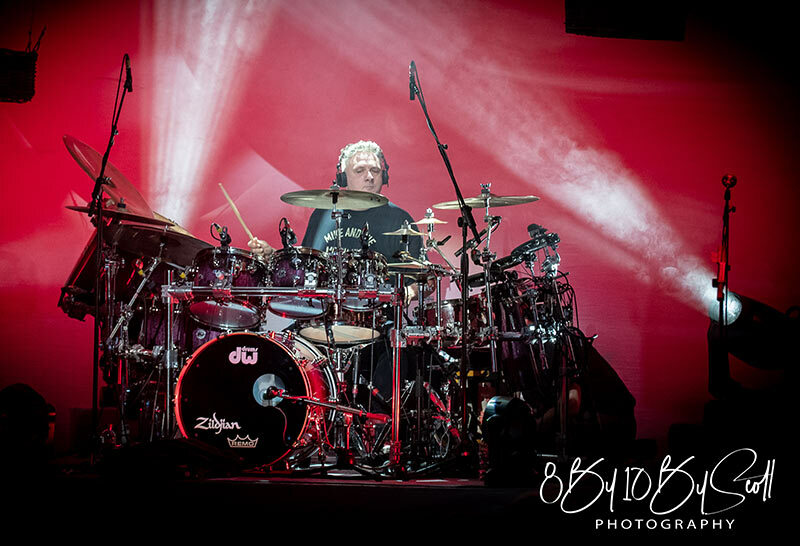 Unlike previous shows, Gary Wallis did not come to the front but played his bit at the drum kit while the others came together at the front of the stage. Follow You Follow Me was the first song, and my spontaneous reaction was that the “campfire music” version with Ray Wilson was better. What Would You Do quickly makes up for it, however. It is probably the best of the three new tracks, and the unplugged version is convincing, too. Everybody Gets A Second Chance is a welcome variation in the set. The song is well-known, particularly in Germany, where it was almost played to death on the radio when it came out. The finale begins with the first notes of Silent Running. The audience stand and won’t sit down again for Get Up. That song has become a classic, though it has never been a single. The current band line-up have even shaped it into a real duet. It also is one of the better new recordings on Out Of The Blue. The Living Years is a bit of a reprieve for the audience. Its drawn-out introduction has become a trademark of Roachford’s version, and he cannot refrain from a little joke: He starts singing “Sometimes …” and continues “manchmaaaal” [‘sometimes’ in German; translator’s note]. 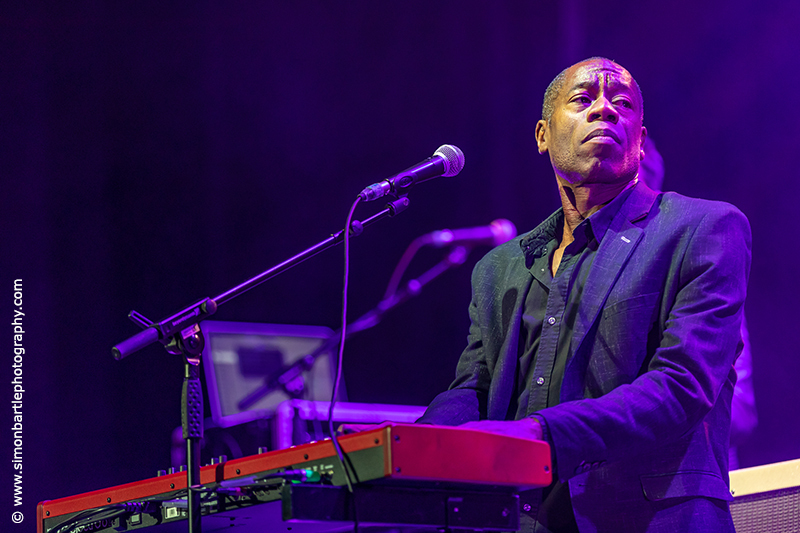 Roachford accidentally begins singing the third verse instead of the second, notices his mistake after two lines and continues with the correct lyrics – very competently and without any fuss. Then it’s I Can’t Dance. The audience are on their feet again, but I am not quite comfortable with this song in a Mechanics set – unlike the last two songs in the regular set: No Mechanics show is complete without All I Need Is A Miracle. Its fame and its popularity amongst fans make it a set piece for all Mechanics live shows. Howar extends the audience participation longer and longer. Over My Shoulder provides a comparatively calm finale. Rutherford and Drennan come to the front with their acoustic guitars and interact with the audience. It’s a quarter to ten when the band return to the stage for an encore: With a grin, Roachford asks “Zugabe?” [‘encore’ in German; translator’s note], and the band launch into the fireworks that is Word Of Mouth. This version is 21 minutes long and includes a lengthy band introduction during which the musicians play sketches of their favourite songs or solos. 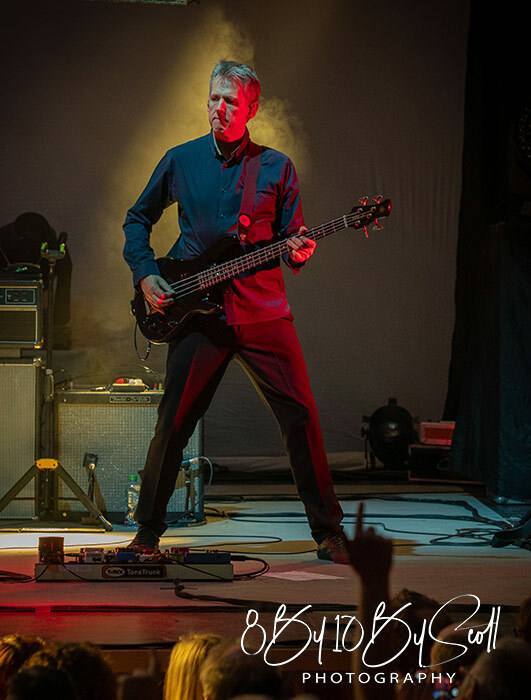 As at most concerts of this tour, Mike picked the solo of Firth Of Fifth. Regardless of whether he should do that it does not fit the rhythmic structure of Word Of Mouth. It is a peculiar gesture. Anthony Drennan just alluded to the Firth Of Fifth solo on the previous tour, and that seemed much better. Juby played the keyboard solo from Follow You Follow Me, Roachford nodded to Steve Wonder, and Drennan played a solo I cannot really place. Firth Of Fifth or no Firth Of Fifth, the show ended after almost exactly two hours and left the audience thrilled. Word Of Mouth obviously takes both the musicians and the audience to their limits, with its length boldly going to ever more absurd dimensions. Who cares if they are entertained this well? Two hours. That’s twenty minutes longer than what we are used to from the Mechanics. The show works well with its fine balance from old and new songs. Why the Mechanics have dropped the interval after the end of the UK tour is anyone’s guess. It is good for the dynamics of the show, but it also means that two songs were cut out in Dresden (and likely for all shows to follow): One Way and Don’t Know What Came Over Me were dropped without a replacement. The stage seemed very simply, which is, of course, due to the missing balloons. Why those were dropped is, again, anyone’s guess. At this point we should explain that the photos in this report were made at a UK show. It was not possible to take photos of the show with anything but a smartphone; so this is why you see balloons in the pictures. In the end we saw a strong performance and (despite all the surprises you would hope for as a fan) a well-balanced set!